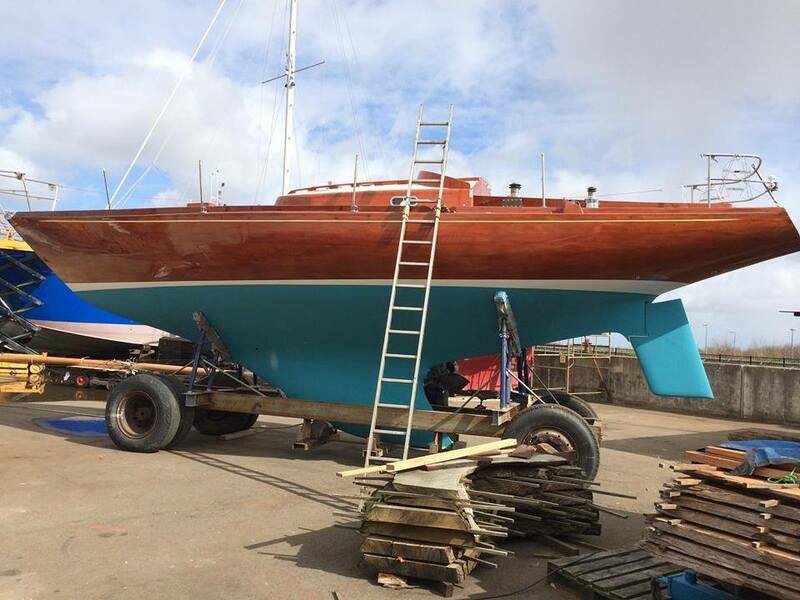 2015 Ready for launching following her refit at Draughtsman Racing yachts at Barton on Humber. 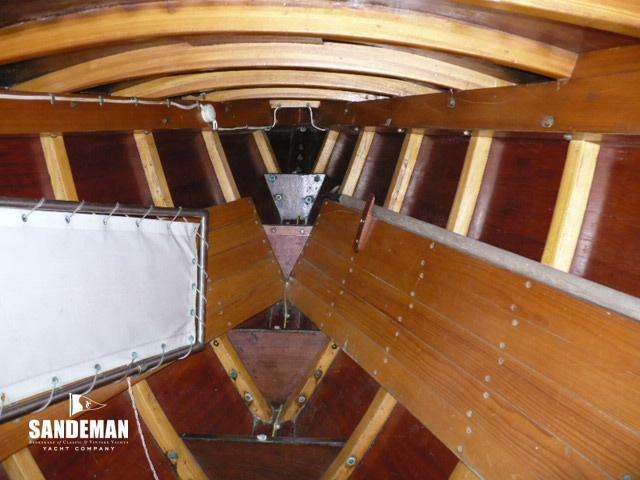 For Sale, Still in very original trim – and we believe structurally sound, SUNMAID V is an exciting prospect, needing a refit to put her in sailing condition. 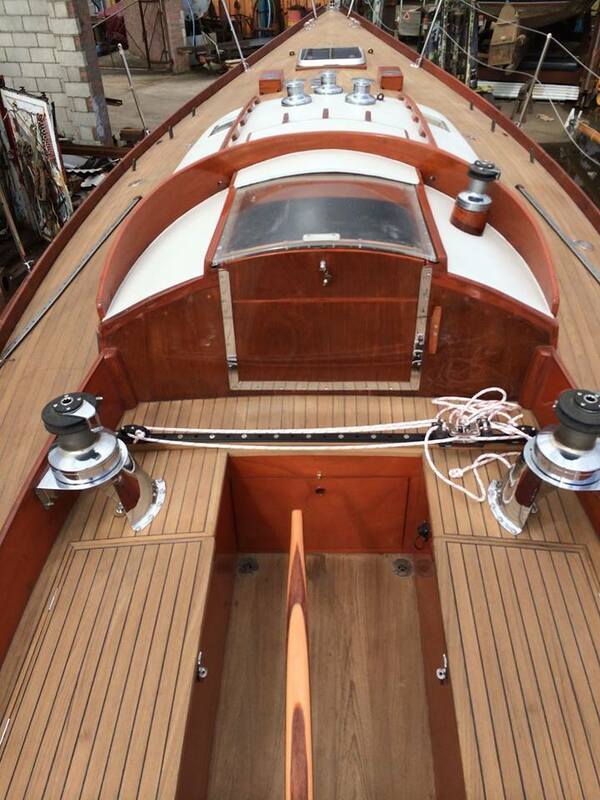 For the aficionado what she really deserves is the full appreciation of this unspoilt starting platform for an immaculate restoration – taking into account also the quality of her original build and that she has not been sailed hard for many years. 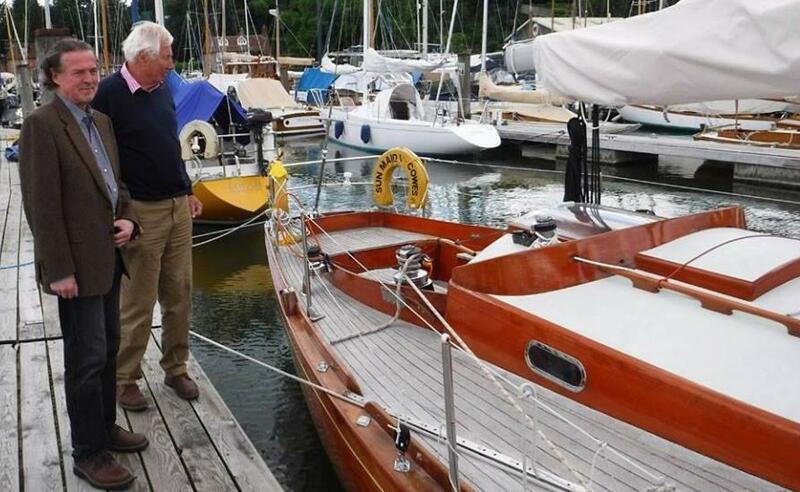 The excitement is in all original fittings and that near sister CLARIONET wiped the board in her class at the British Classic Yacht events in Cowes this summer. 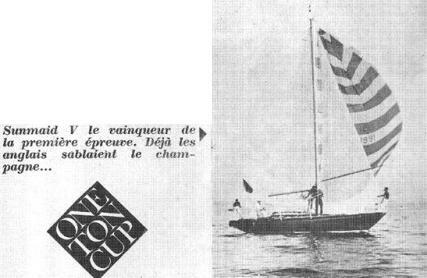 History: Two boats were built to this RORC One Ton Cup design - another example of further development of the CLARIONET design #1857 featuring the separate skeg and rudder in vogue at the time. 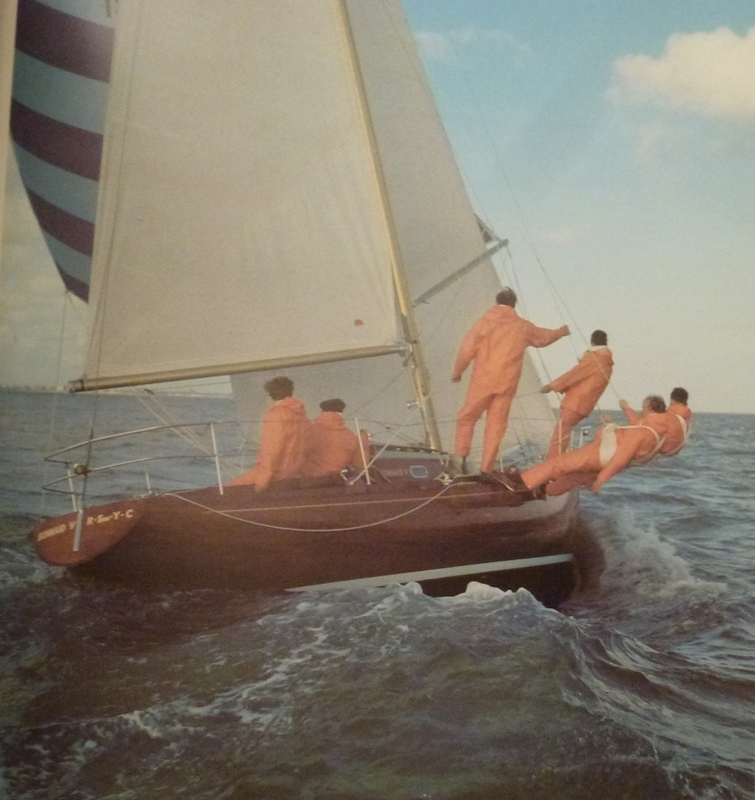 SUNMAID V was built of wood by the Clare Lallow yard in Cowes and launched in 1967. She was very substantially built both for the sake of her rating but also drawing from the experience of ROUNDABOUT – in retrospect thought to have been too lightly built and with no noticeable advantage on performance. Owen Parker, the sailing master on the Sunmaids developed twin pole gybing and the use of separate spinnaker winches during his time with Guy Bowles. In the mid 1980s the McIntyre twins asked Owen Parker, with whom they had always kept in touch, for his advice on upgrades that would be best for SUNMAID. 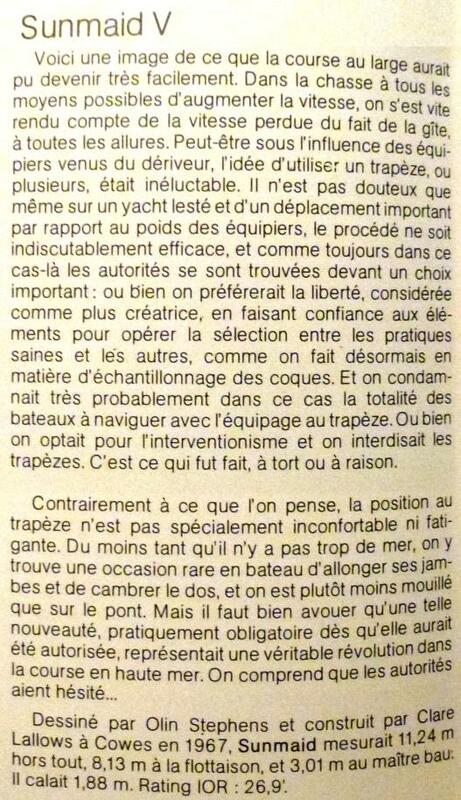 He recommended and organised the self tailing winches for all sheets, the head foil and sails to be by North Sails. Otherwise SUNMAID has been kept as original as any teething problems had already been ironed out in the development and build of these boats.